from Florida's Top "A" Rated Carriers. All of Florida is in a Flood Zone. Homeowners Policies Do Not Cover Rising Water. Protect Your Family Today with Flood Insurance! Potential with an Umbrella Policy. 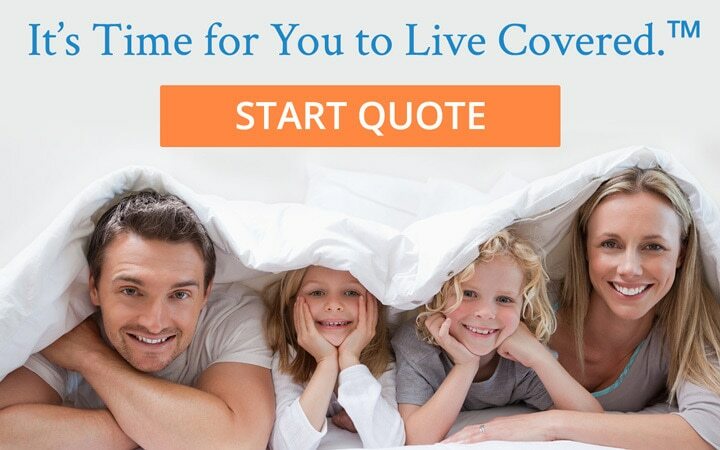 Cornerstone Insurance, Inc. is a family owned and operated Trusted Choice® independent personal lines insurance agency serving Floridians in Tampa, Orlando, Ocala, Jacksonville and many towns and cities in between. We are a proud member of the Florida Association of Insurance Agents, the Trusted Choice® Insurance Network and an A+ rated Accredited Member of the Better Business Bureau®. 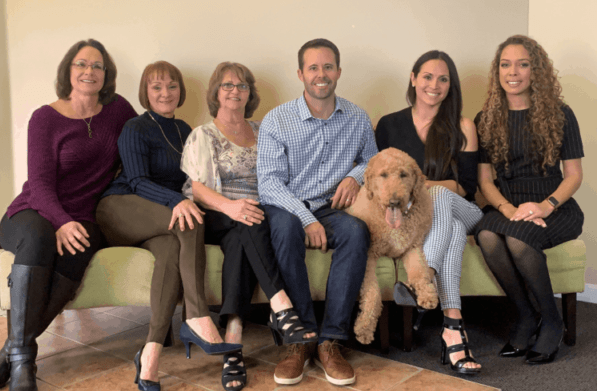 Cornerstone team with office dog Beau. In recent years, numerous Florida insurance companies have non-renewed or stopped writing policies in the state. Our independent Tampa agency offers a one channel insurance solution for Florida residents. We represent more than 40 carriers offering home, flood, auto, umbrella, condo, boat, atv, rv, life and more. And, because we are independent, we offer our clients the best carriers, at the best premiums and with the service, diligence and professionalism they deserve. Our partner insurance companies are writing policies throughout Florida. We assist you in finding a carrier that has qualities that are important to you. Qualities like strong financial ratings, extensive claims paying experience or most importantly, a client focused ethos. As a result, we proudly partner with respected carriers like Travelers, Safeco, Tower Hill, ASI (American Strategic Insurance), American Integrity Insurance, Progressive, Mercury, and more. Cornerstone insurance is the best. I have used them for several years and just recently made multiple updates and they have been accommodating and responsive. Everyone in the office is fantastic to work with and I would recommend them to anyone. Gina was incredibly helpful and more than happy to answer my repeated questions. We went with her agency because of her willingness to educate me on the process and explain everything. I have been dealing with Cornerstone for three years and they are always friendly and helpful. And they got me a great deal on my homeowners insurance. I have always found that Josh and his team at CORNERSTONE Insurance to be ready, willing and MORE than able to meet the needs of my clients! Cornerstone Insurance has been a valuable resource to me and my clients. My premium through State Farm was going to double from the year before. I was referred to Cornerstone Insurance by my neighbor and was happily surprised to see they were able to save me 40 percent off of my home insurance. They got me the coverage I wanted with an A rated company. I have finally found the consummate insurance agent and company that I can rely on for service and competitive pricing. Joshua Butts and his team at Cornerstone Insurance are highly professional and trustworthy. At Cornerstone, we take pride in custom fitting a group of policies for the needs and desires of each client. We understand that people have different needs based on their unique situation. We can leverage relationships with many carriers to tailor a policy plan that will give you the coverage you need at a price that fits your budget. Call us today at 1 (877) 277-2715 or fill out our quick form to request a free quote. Let us get you the coverage you need. We appreciate your business and look forward to serving you. © 2019 Cornerstone Insurance, All Rights Reserved.